Radical pro-abortion ideology is nothing new for liberal mainstream media outlets. Since President Donald Trump’s announcement that he would be nominating constitutionalist judge Brett Kavanaugh to the United States Supreme Court, progressive supporters of abortion have been working overtime to defend, and promote, abortion. Today, they’re doing it in the Atlantic’s “family section”. More specifically, an article written by 52-year-old Deborah Copaken is presently making waves for attempting to rebrand abortion as a normal, inevitable part of an otherwise healthy motherhood. The piece may, at first glance, appear to be nothing more than a memoir-style account of one woman’s journey through adolescence and then marriage (and, eventually, divorce.) It certainly takes the reader through the full range of emotions a woman may feel upon discovering she is pregnant, which can certainly vary depending upon her life circumstances at the time. Copaken paints herself as a thoughtful, intelligent, and even compassionate mother, navigating occasionally sub-optimal circumstances. Those circumstances, according to her, have left little choice but to obtain an abortion. 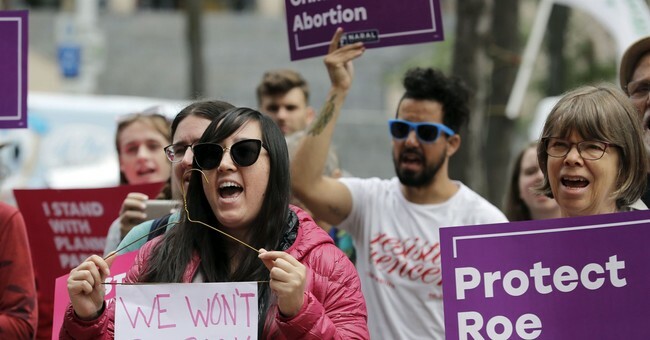 Upon a closer reading, however, it appears more likely that the publication of such a piece is ultimately a shrewd political ploy by progressives to normalize and defend abortion--in an era when universally legalized abortion may, indeed, be drawing to an end. Penned by an apparently pro-abortion, happily divorced feminist, “Three Children, Two Abortions” contains not only personal anecdotes, but also clearly advocates for a wide range of proposed liberal policy changes. There was a time when liberal Democrats assured American voters that they merely wanted abortion to be legal, safe, and rare. Since 1973’s passage of Roe v. Wade, however, America has witnessed abortion become a prized (and financially advantageous) component of the Democratic Party’s national platform. The effect that radically progressive news features, such as the one in the Atlantic, will have at the ballot box in November remains to be seen. Deborah Copaken’s feminist attempt at making abortion a valid, normal, and heroic act for mothers--just as natural as giving birth to the child--may indeed further rally liberals to protect their beloved Roe v. Wade. It seems though that, if nothing else, conservatives have every reason for optimism: Judge Kavanaugh’s recent nomination to the United States Supreme Court continues to worry abortion advocates.